A DoT panel on net neutrality is learnt to have opposed projects like Facebook's Internet.org, which allow access to certain websites without mobile data charges, while suggesting that similar plans such as Airtel Zero be allowed with prior clearance from Trai. The panel has stated however that "collaborations between telecom operators and content providers that enable such gate-keeping role to be played by any entity should be actively discouraged", sources said. Telecom Minister Ravi Shankar Prasad had directed the Department of Telecom (DoT) to form a panel on net neutrality and give its recommendation on the matter. The neutrality debate heated up in India after telecom operator Airtel launched a platform, Airtel Zero, that would allow free access of some websites on it network. However, the companies were asked to pay Airtel for joining the platform. 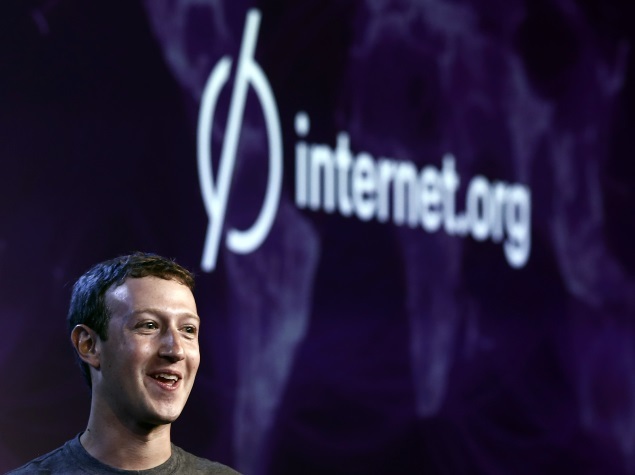 Sources said the DoT panel has stated that this project has been criticised for violating net neutrality principle and favouring Facebook's own services over its rivals.Facebook, however, at various forums has said that the project is pro-Internet access and hence does not violate the principle. They said the panel however has favoured allowing of zero-rating platforms, like Airtel Zero, but with a rider that operators should take prior permission of telecom regulatorTrai to launch it or take action against such plan if they are founding violating principle of net neutrality, sources said. The DoT did not respond to email query sent in this regard, while Facebook spokesperson said "Until we have the DoT panel findings we are not in a position to comment." The Internet.org earlier provided restricted Internet access to subscribers RCom, the panel is learnt to have noted. "The panel observed that until April 2015, Internet.org users could have free access for only a few websites and Facebook's was seen as gatekeeper in determining what websites were in that list. This was seen as violating net neutrality. In early May 2015, due to severe criticism, Facebook opened it to websites that meet certain criteria," the source said. It also observed that large organisations with market have started creating closed ecosystems which profit their business model in the long run.